REDUCED TO SELL. BRING OFFER. SEE FEATURES LIST-2017 BUILD.Astonishing from the moment you enter the circular drive and courtyard. The custom limestone fountain, walk way and patios blossom with the accent of the synthetic grass, and hand made clay tile roof. The hand forged iron and glass entry looks through the formal living room's glass retractable automated glass wall to the spectacular backyard oasis. Every attention to detail can be seen throughout this breathtaking home, from the hand crafted cabinetry, to the carved limestone fireplaces and spectacular lighting. 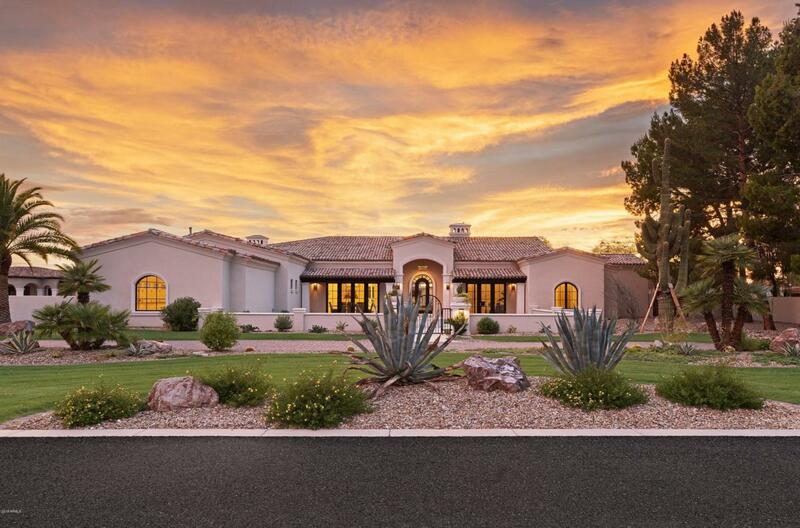 A rare find, this elegant estate, in the highly coveted Cactus Acres, is on 1.16 acres of lushly landscaped grounds. 9,247 square feet under roof. 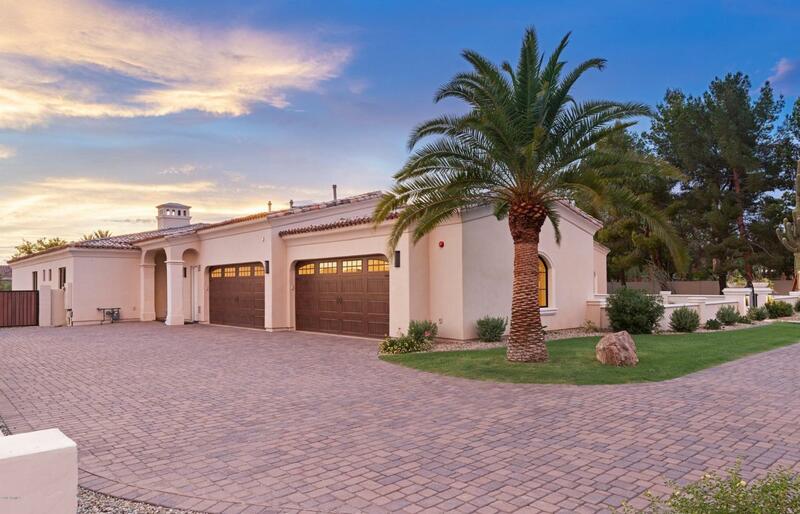 1,750 square feet of covered patios.